The horse meat scandal has dominated the British media for much of the past few months. 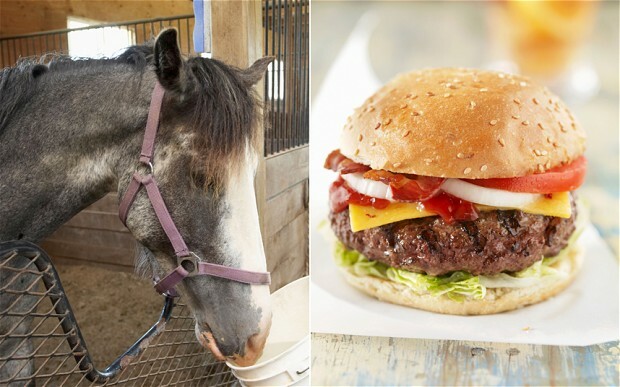 While horse meat is not harmful and is eaten in many countries, it is considered a taboo food in the UK. However while the media has enjoyed making a big fuss over the scandal, besides the odd back joke, the general public’s reaction can be summed up in one word: “meh”. For most, the news that ready meals do not contain what is labelled is as surprising as finding out that they look nothing like the picture on the box. Furthermore it seems most do not seem bothered that they may have consumed a horse burger or two. The biggest annoyance has been the bad jokes that seem like they’re never going to go away. With public opinion being one of indifference and disinterest, we at Scrummy Yummy have decided that it’s time to sample this forbidden food. It’s time to see if horse should be back on the menu. A number of phone calls and few google searches later and it seems that horse is actually quite difficult to get hold of. The only supplier we found was one operating through Amazon and so we have had had no choice but to order our meat in the mail. Mmmm… posted meat, can’t wait! So, that’s it, the horse steaks have been ordered and are on their way. As soon as they arrive we’ll get them cooked and let you know the verdict. If you would like to take part in our horse meat experiment, horse steaks can be ordered from Amazon here. If you have any suggestions of horse steak recipes, let us know!